We get this question a lot: “What size roller should I use for my painting project?” It’s important to choose the right size nap for your project. The answer depends upon the porousness of the surface and the type of paint you are using. If you are painting a smooth, newly dry-walled wall or door without any existing paint with a high sheen paint, choose a roller cover with a short 1/4″ or 3/16″ nap. A roller with a short nap won’t hold a lot of paint, but it will leave a very smooth finish avoiding roller tracks. If you use a thicker roller on a smooth wall, it will produce an orange peel textured surface. For matte and eggshell paints on smooth, previously painted drywall, use 3/8″ or 5/16″ nap sleeves. The slightly longer nap will hold more paint with minimal roller marks. A quality roller cover with a 3/8″ nap is versatile enough to work with most paints on most surfaces. For medium-textured plaster and similar surfaces, use 1/2″ nap sleeves, but keep in mind that roller marks will be noticeable. This is a good choice for previously-painted walls or ceilings that already have some texture to them. For rough surfaces like concrete block, use a 3/4″ or even longer nap sleeves. For best results, use a roller cover that will hold as much paint as possible, yet releases it onto the wall with minimal splattering. You will also want to use a quality roller. At Accent Paint Store, we recommend Purdy rollers. 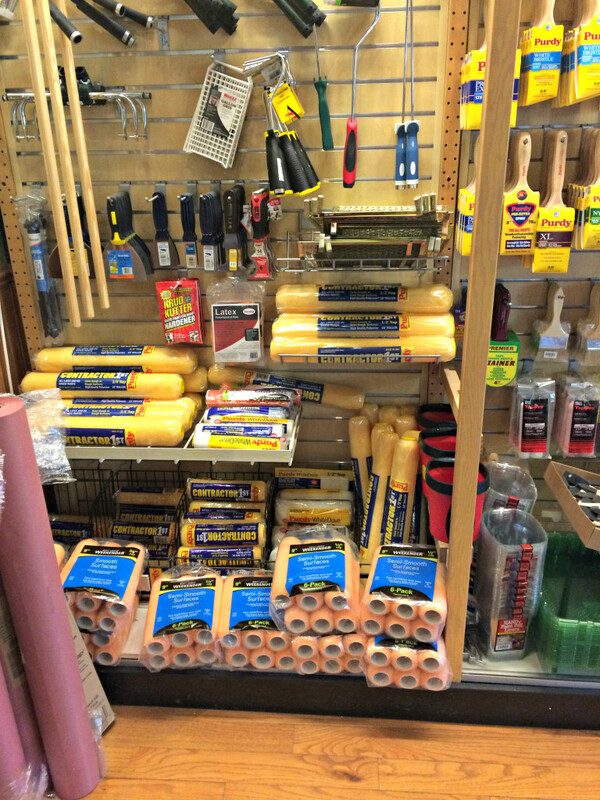 Purdy has wide range of rollers to cover every application. If you have a question on what size roller you should use for your next painting project, stop into Accent Paint Store. Our experts have over 20+ years of painting experience and can help you make the right decision.